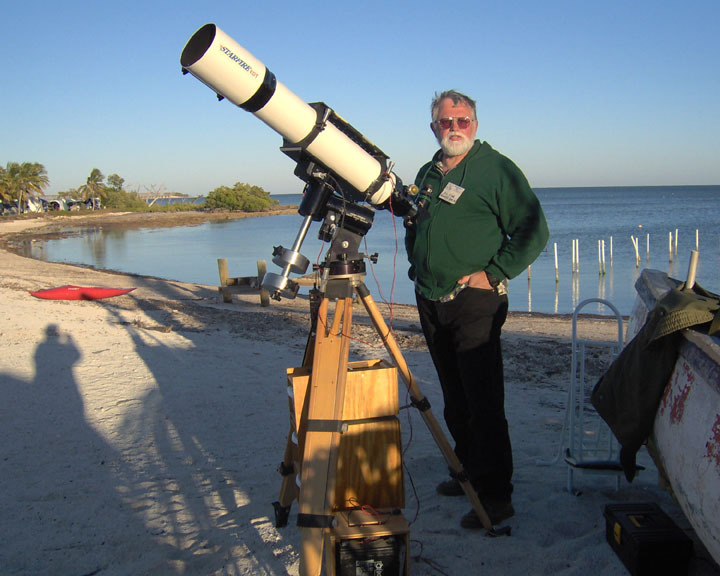 Every amateur astronomer should attend at least one major star party. 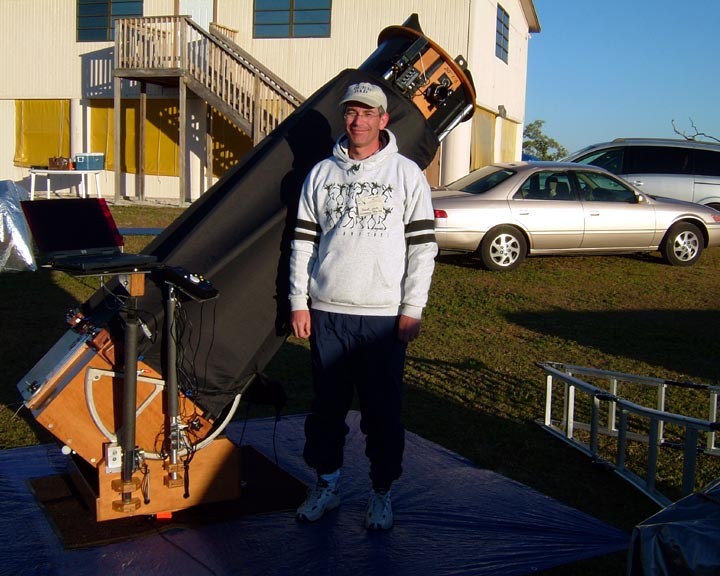 It gives you the opportunity to observe under dark skies, interact with hundreds of other amateur astronomers, attend lectures by well known amateur and professional astronomers, and see telescopes of every design and size possible. It's also a great excuse to travel and see different parts of the country. 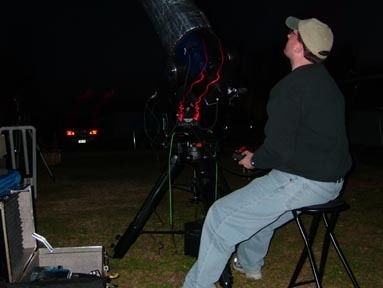 I've been fortunate enough to have attended four major star parties now; the Texas Star Party in 2001 and 2002, the Nebraska Star Party in 2002, Starfest in 2001 and 2003, and finally the Winter Star Party (WSP) in 2005. 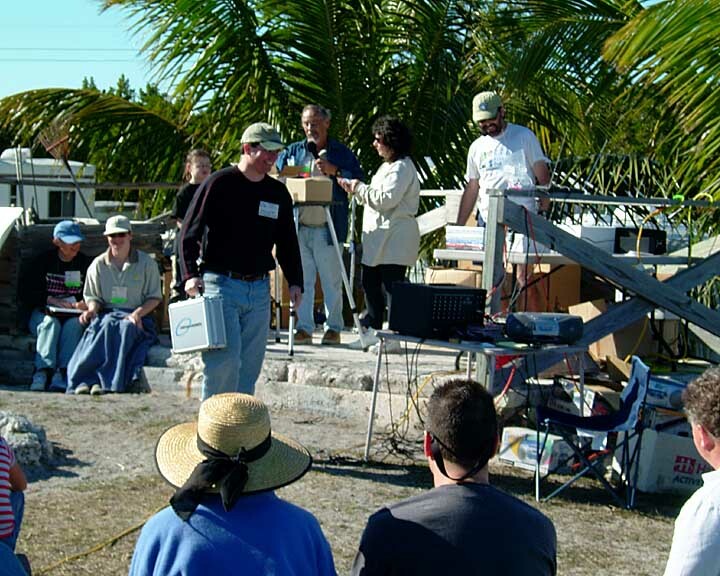 The WSP is organized annually by the Southern Cross Astronomical Society of Miami, Florida. Its creator is Tippy D’Auria, who imagined the event becoming a winter refuge for those of us living in the frozen northern states. Seems like a no brainer really! 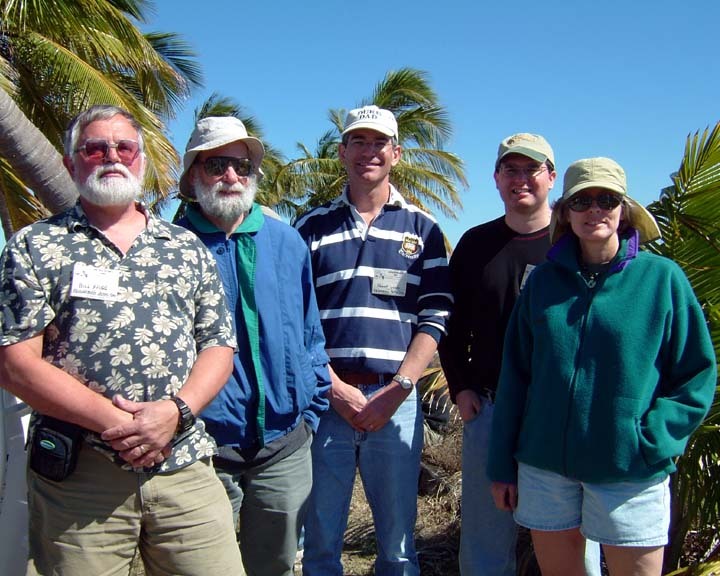 The first WSP was held in February 1985 at Mahogany Hammock in the Everglades, which by all accounts was infested with mosquitoes and crawling with alligators. Tippy, who always seems to have a cigar in his hand, is still a big part of WSP but retired as its director in 2001. The event is now directed by respected astrophotographer Tim Kahn. 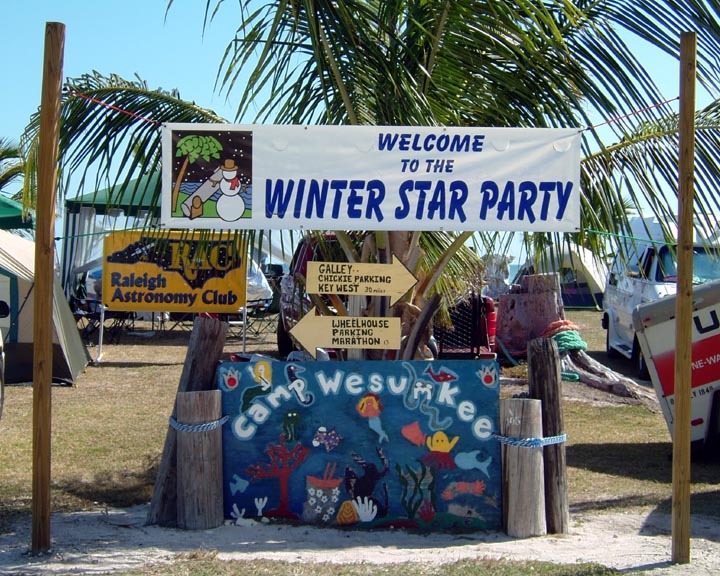 Today, WSP is held at Camp Wesumkee, a Girl Scout camp on West Summerland Key (between Marathon and Key West) in the Florida Keys (Latitude: 24.648º N, Longitude: 81.310º W). Observing at 24º latitude in February sure has its advantages. For one, you can observe the spoils of the winter Milky Way without fear of freezing to death. Constellations below Canis Major like Puppis, Vela, Carina, Centaurus, and Crux are now within view as well as some of their deep sky objects (more on them later). The 21st WSP was held from February 7 – 12. However, due to the work schedule of my traveling companion Jean DeMott, we weren't able to leave Kalamazoo until February 7th. After two 13 hours days behind the wheel and about 1,560 miles later we arrived at Camp Wesumkee at 11:30 pm on February 8th. Entrance by car was forbidden since we arrived well after the cut off time of 7:00 pm, so I parked my Jeep on the side of Route 1. As soon I got out of the car I did what any amateur astronomer would have done – I looked up. I was amazed at how dark it was. All my previous star party trips have been either during the spring or summer, so this was the first time I clearly saw the winter portion of the Milky Way. I did see the light domes from Marathon and Key West that I read about in past WSP reports, but it wasn't as bad as I had imagined. Fellow Kalamazoo Astronomical Society (KAS) member Rich Mather was awaiting our arrival and helped us carry some of our bags into the camp. Jean and I decided to reserve a chickee instead of camping out. (We didn't have room in the car for my tent anyway.) After stumbling around in the dark we finally tracked down the “Herschel” chickee (#8), which was at the west end of the camp. The chickees reminded me of something out of Gilligan’s Island; although instead of swinging hammocks we had bunks. 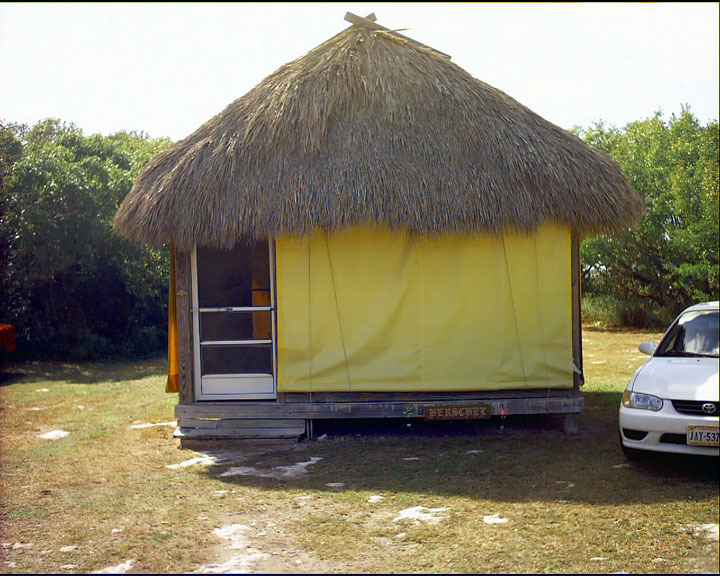 The roof was made out of palm thatch and the walls were screens with yellow tarps to protect us from the elements. We woke up our chickee mates, a couple from Virginia, as soon as we came through the noisy screen door. Once we got our gear stored we headed over to the other side of the camp to meet up with another KAS member, Robert Wade. I couldn't set up my equipment, so we made due with a few peaks through Robert's awesome 20” Obsession. He also had to show off his new Servo-Cat system, which was way cool. Clouds rolled in a bit later, so we decided to call it a night. It did clear up again, but after 13 hours on the road it was time to get some shut eye. Wednesday morning gave us our first sunlit view of the camp. It was nice stepping out of the chickee and seeing the ocean just a few yards to the south. After breakfast, I decided to hit the showers, which were on the other side of the camp (right near where we set up our telescopes). I was afraid a long line would be waiting for me, but I was able to shave and shower pretty quickly. The water pressure wasn't great, but at least it was cold! (I did manage to take a couple warm showers by the end of the week though - that is, at least when the showers were operating). The bathroom and shower facilities sure weren't designed for nearly 600 men. By the end of the week, the men's bathroom was shut down, so the women's became co-ed. 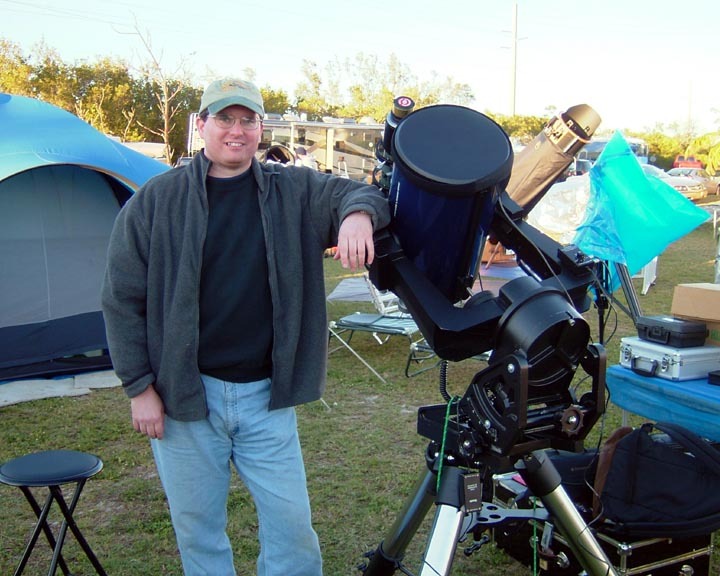 Once all that morning stuff was out of the way I got down to business – I set up my telescopes! Unfortunately, this meant that I would miss the majority of the image processing presentations. I did catch part of the last presentation by Jack Newton. Bill Nigg, another KAS member attending WSP, did tape all the presentations so I’ll just have to borrow his tapes later. Jean and I didn't arrange for dinner at Micki’s Kitchen Concession (located on the camp), so we had dinner at Mangrove Mama’s on Sugarloaf Key. We got back with plenty of time to get ready for the night ahead. Once it got dark enough on Wednesday night I did a rough polar alignment and then prepared to do some wide-field astrophotography. First, I did some visual observing just to get a feel for the quality of the sky conditions. It was very good, but the transparency was nowhere near what you get at the Texas Star Party. 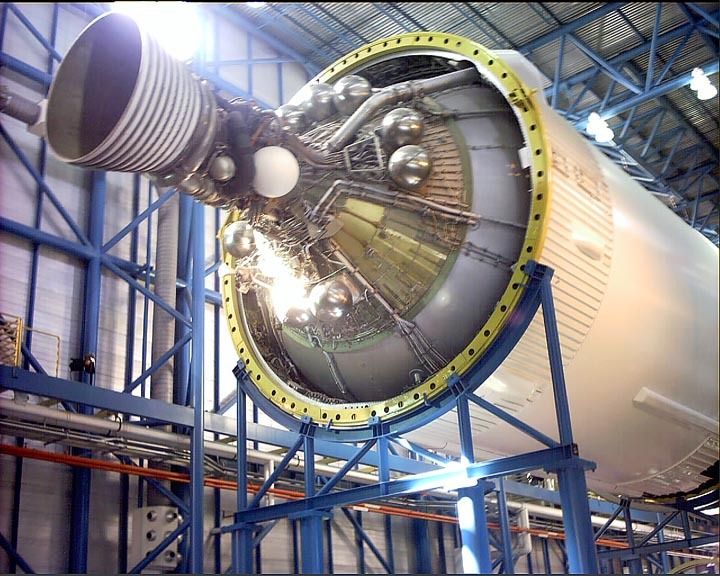 However, the seeing is what WSP is famous for and the reputation proved itself once I turned my scope over to Saturn. A magnification of 500x gave a pleasing view, but 250x was a bit more comfortable. Definitely better than anything we get with the often turbulent seeing in Michigan. I then did several shots of Orion with my 28 mm and 50 mm lenses and some shots of the belt/sword region of Orion with a 135 mm lens. I was going to go back to some visual observing, so I took my Kendrick dew rope off and then removed the dust cap (I put it back on while I did photography) and noticed that the corrector plate dewed up. Now, it must have done this in the time that I removed the dew rope, took off the dust cap, and then grab my dew cap. Wednesday night was extremely dewy, so that shut several people down early. I attended several lectures on Thursday. First was Alice Newton's “X-Rated – Adults Only” talk, which was very well done and hilarious. She made excellent use of Photoshop to paste well known WSP attendees onto some very odd and raunchy photographs. It's really something you have to experience first hand! I also attended the talk by Mike Reynolds on “Antarctic Meteorites”, which was also very good. A low pressure system came in later in the evening, which brought clouds and rain. Jean and I decided to hang out in the chickee and read for a while. The front finally passed over and it cleared up again. However, it was too windy to do any observing through my LX200. We did get up again later in the morning to get our first glimpse of the week at Crux, the Southern Cross and Alpha and Beta Centauri. Jean had already seen them before, but this was the first time for me. On Friday, I was finally able to put my Coronado SolarMax 40 Hydrogen Alpha filter on my Pronto and check out some prominences. Again, the seeing was spectacular (compared to Michigan) and prominences never fail to please. Several other WSP attendees gathered around to get a view. I also had the opportunity to compare my H-alpha setup with Coronado’s Personal Solar Telescope (PST). I invited a gentleman with a PST to setup next to my Pronto. The Pronto/SolarMax combo did give a slightly crisper and noticeably brighter image. Still, the PST is an incredible value. I was planning to image the Sun with my webcam, but the door prize drawings were about to begin. The door prizes were numerous and most were pretty valuable (as you would expect from a large star party like WSP). Ticket number after ticket number was announced and many great prizes were given away; then came another door prize – a Denkmeier Binocular Viewer worth $700. A ticket number was drawn, but no one came forward. MUST BE PRESENT TO WIN! Then another ticket was drawn and Tippy announced the number: 454. That was MY number and I screamed “YES!” as loud as I could. How lucky was that? In the end though, I decided to trade the binocular viewer for a Canon Digital Rebel SLR camera from a guy on Astromart. I'm too cheap to buy eyepieces in pairs; plus I've been itching to get into digital imaging for some time and this was my chance. After the door prizes was the WSP cook-out celebration. The food wasn't as good as the catered dinner at Starfest, but it was easier than hunting down another restaurant in the Keys. The line was long, but it moved pretty fast. The choices were a hamburger, chicken, or a hot dog. It was going to be a long night, so I decided to have all three! Friday night was almost entirely free of clouds and the heavy dew we had on Wednesday. This was the night I planned to start doing some more serious astrophotography, so I took some time to drift-align my LX200. However, the wind was still a bit heavy so that really limited what I could do. I needed practice with drift alignment anyway and I wanted to wait for the Waxing Crescent Moon to set as well. After several hours of astrophotography I decided to take a break and then do some visual observing again. Mainly because the globular cluster Omega Centauri (NGC 5139) and the Peculiar Galaxy Centaurus A (NGC 5128) were coming into view. 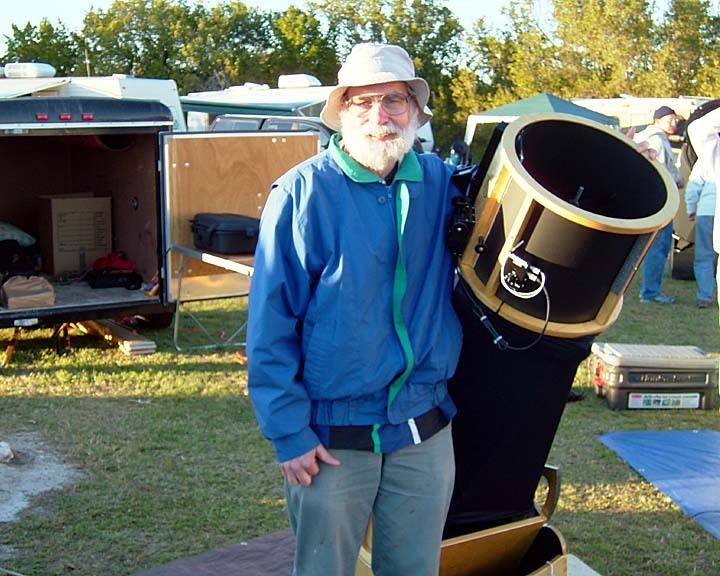 These became favorites of mine at the Texas Star Party. The view of Centaurus A was better at TSP, but Omega Centauri did seem to be even more spectacular at WSP. I also got to observe the Eta Carinae Nebula (NGC 3372) and the Jewel Box open cluster (NGC 4755) for the first time as well. The Jewel Box look a bit subdued because of its low altitude, but Eta Carinae was unreal. Normally, my observing skills are good enough to sum up an object with just a minute or two of viewing. Eta Carinae is very complex and demands a meticulous study. Observing came to an abrupt end early on Saturday morning when my deep cycle marine battery ran out of juice. 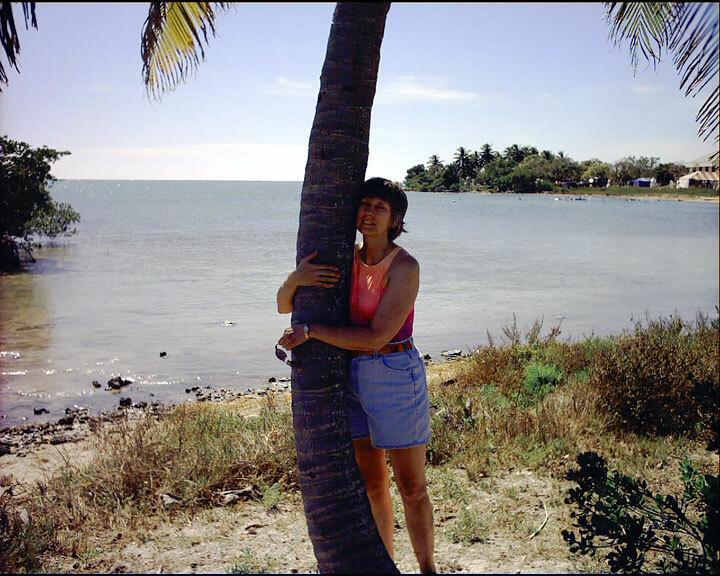 On Saturday, Jean, Rich, Robert, and I did a little bit of exploring around the Keys. Our main objective was to find an alligator or two and some Key Deer. 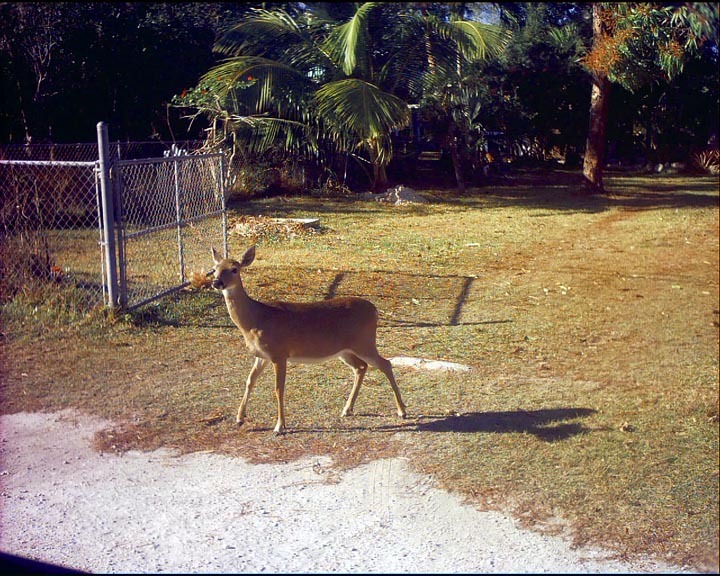 Key Deer are endangered and can be found only on Big Pine Key today. We stopped at a couple of parks and walked around the trails. We managed to find a couple of alligators at Blue Hole. The largest was approximately 8 feet long. 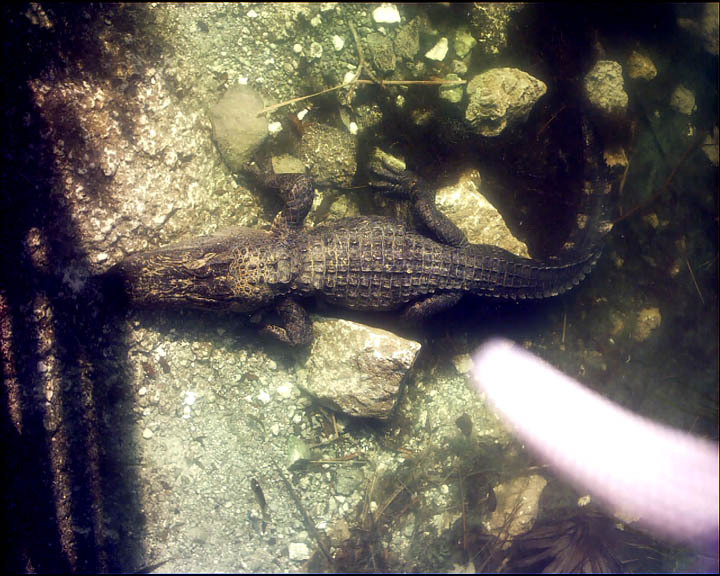 Both alligators were acting very lazy and just soaking up the afternoon Sun. We failed to find Key Deer at the parks and we were starting to get pretty hungry. We then made a wrong turn down some back road and finally managed to track down some Key Deer. They look exactly like the White Tail Deer we have in Michigan – just smaller. With that out of the way we then had dinner at the No Name Pub on No Name Key. For some reason, they have thousands and thousands of one dollar bills hanging from the ceiling and glued to the wall. We then returned to the camp and it looked like some one dropped the atom bomb. Many people were in the process of packing up to leave or already left. Bill Nigg and his wife were gone as well. The sky was looking pretty cloudy, so Robert and Rich decided to break their equipment down as well. It actually turned out to be the best night of the week (at least for me). The wind was all but gone and the dew was nonexistent. I spent almost the entire night either snapping a few last pictures or just observing. I then grabbed a quick shower at about 5:30 am and then got about 90 minutes of sleep. Jean and I packed up the chickee and then I broke down my telescope shortly after sunrise on Sunday morning. I always hate taking my scope down at the end of a star party. Jean did most of the driving that day, because I could barely stay awake after observing all night. We spent some time exploring the parts of the Keys that we missed on the way in because it was dark. We also explored a small part of the Everglades shortly before sunset. 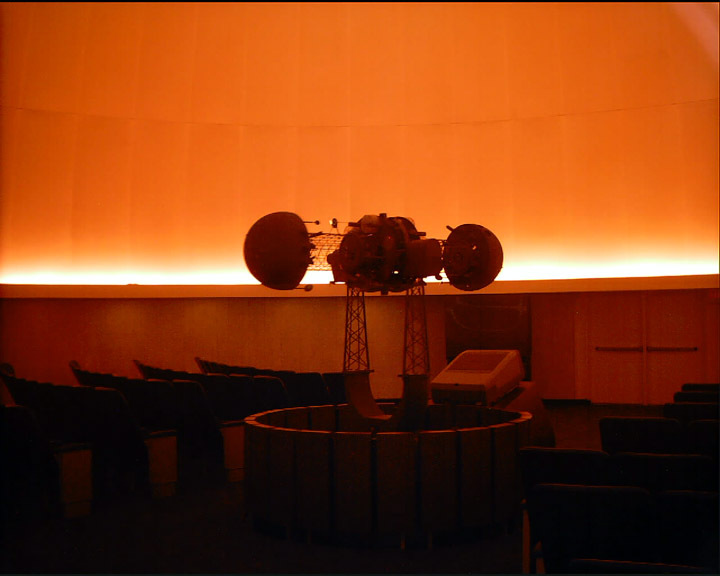 On Monday we checked out the Space Transit Planetarium, which is directed by the Star Gazer himself Jack Horkheimer. 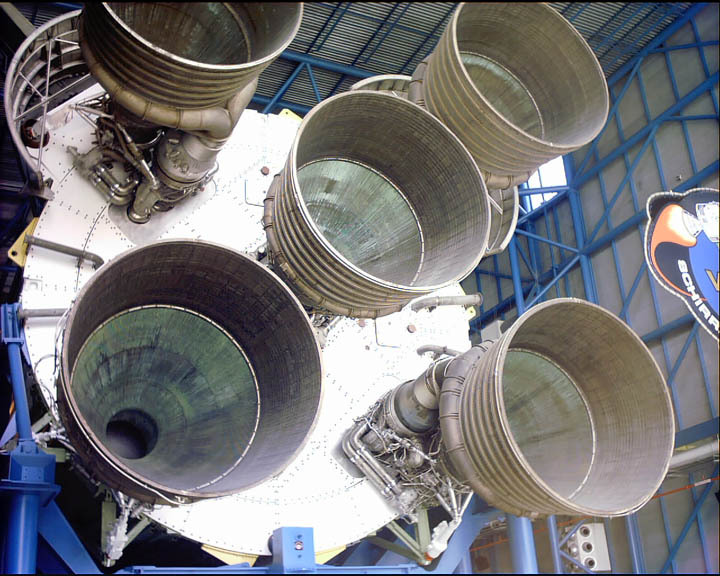 We spent the entire day on Tuesday visiting Kennedy Space Center. 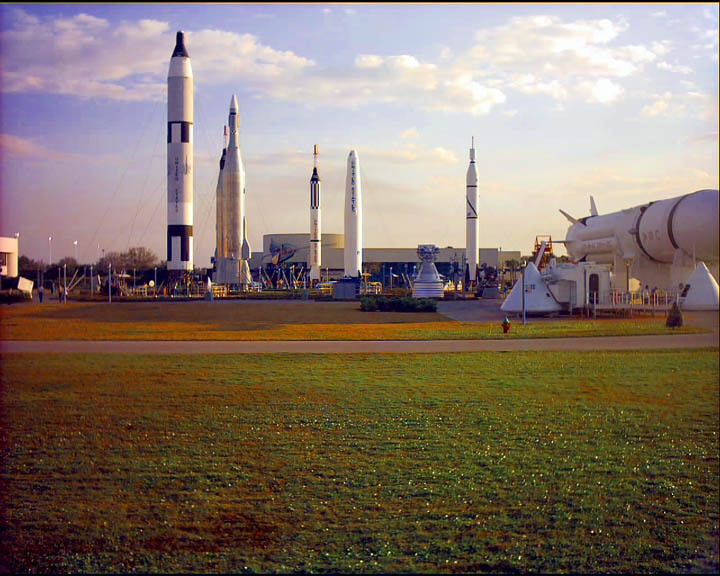 We took the “NASA Up Close” bus tour. Our first stop was the International Space Station Center where we got to see actual pieces of the space station awaiting delivery. 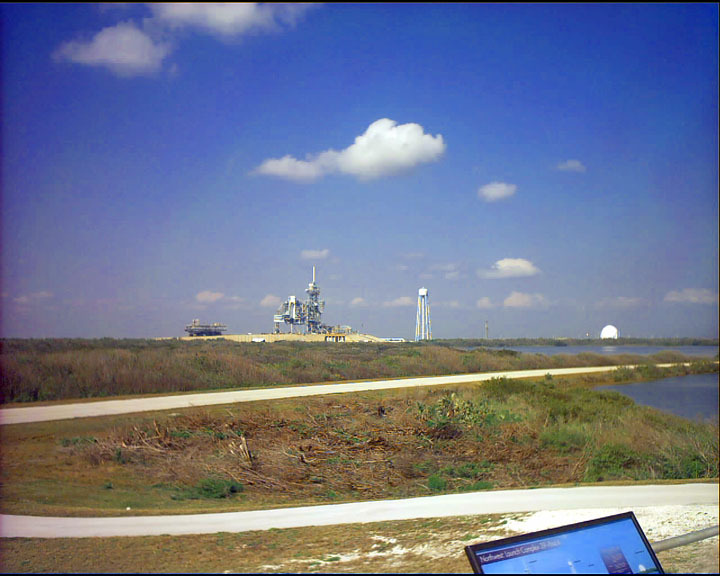 We then went to a viewing platform where we could see Launching Pads 39A and 39B. 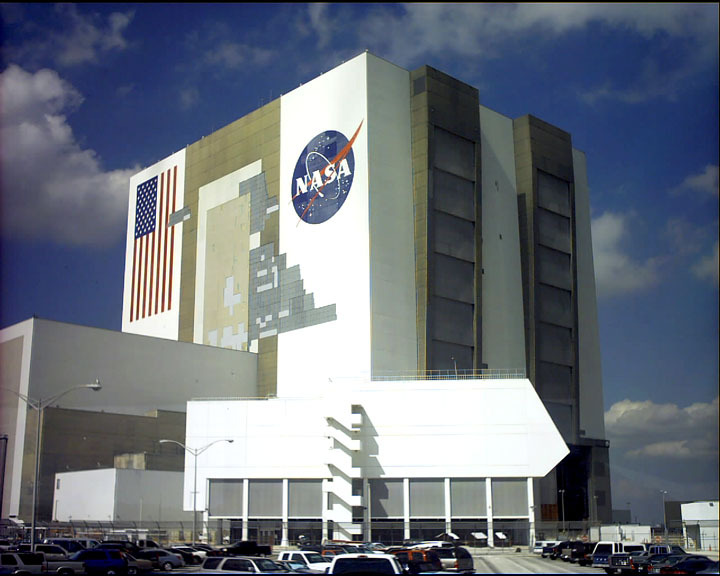 We then drove by the legendary Vehicle Assembly Building (VAB), which was still missing some tiles because of all the hurricanes they had to endure last summer. 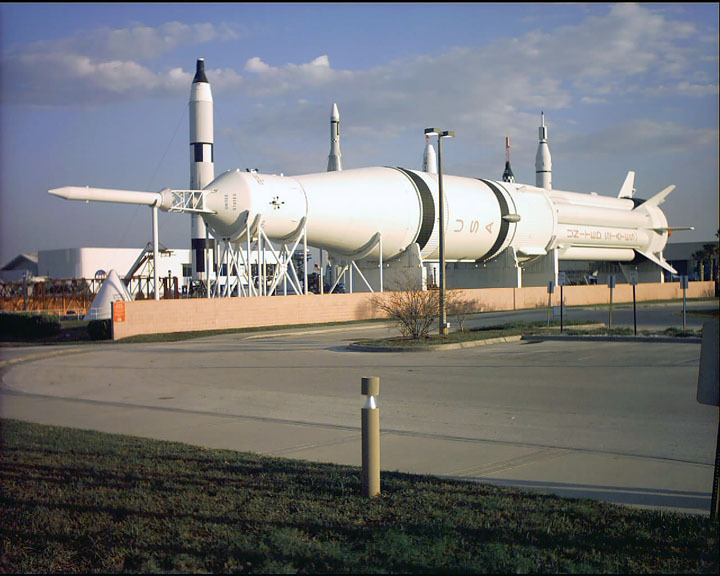 The tour bus then dropped us off at the Apollo/Saturn V Center. We saw the actual control center used in the Apollo days. 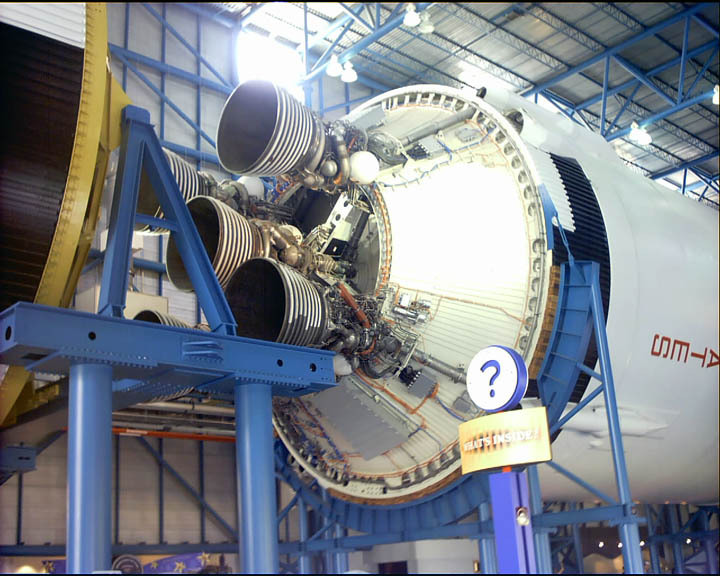 We then went into the main part of the display which was dominated by a vintage Saturn V rocket. Very BIG! 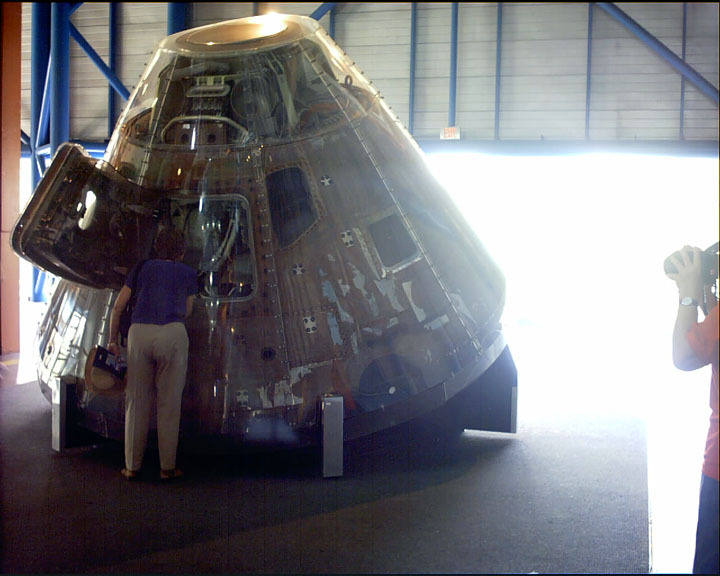 Exploring the Apollo/Saturn V Center took quite a bit of time because there was so much to see and do. We finally had to pull ourselves away, because there was still so much stuff to take in. I wished we could have stayed another day, but we'll just have to plan another trip. We spent the night with some of Jean's old friends and then made our way to Nashville, Tennessee. After about 10 hours on the road we crossed the state line into Michigan, which gave us lake effect snow showers as a home coming gift. We were home and winter had returned!